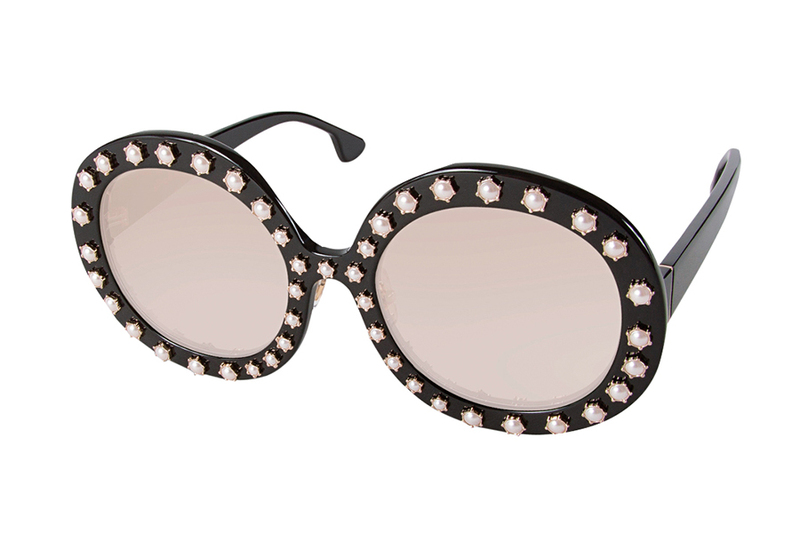 “Bel Air” sunglasses studded with Swarovski pearls, $525, Alice and Olivia. 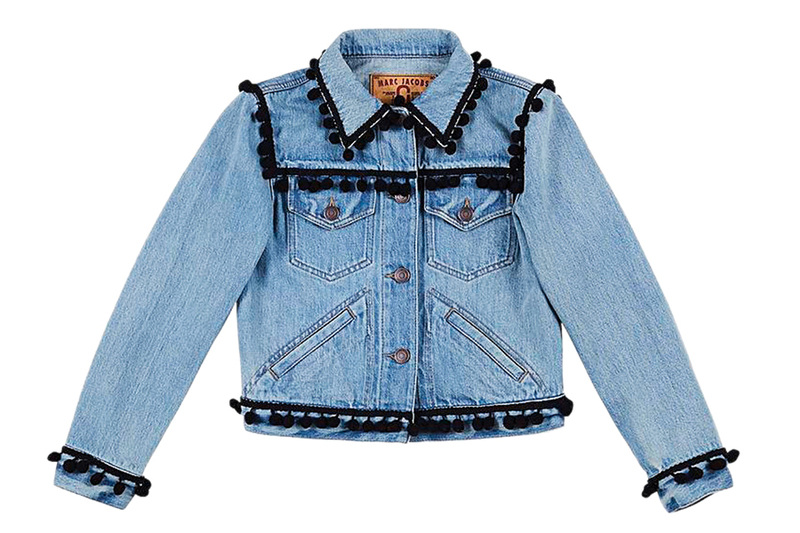 Pompom denim jacket, $550, Marc Jacobs. 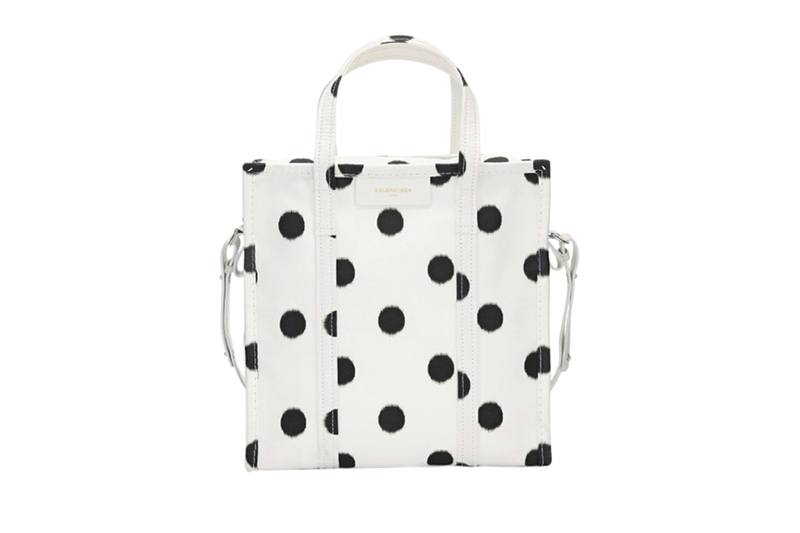 Balenciaga “Small Bazar” leather shopper, $1,650, Saks Fifth Avenue. 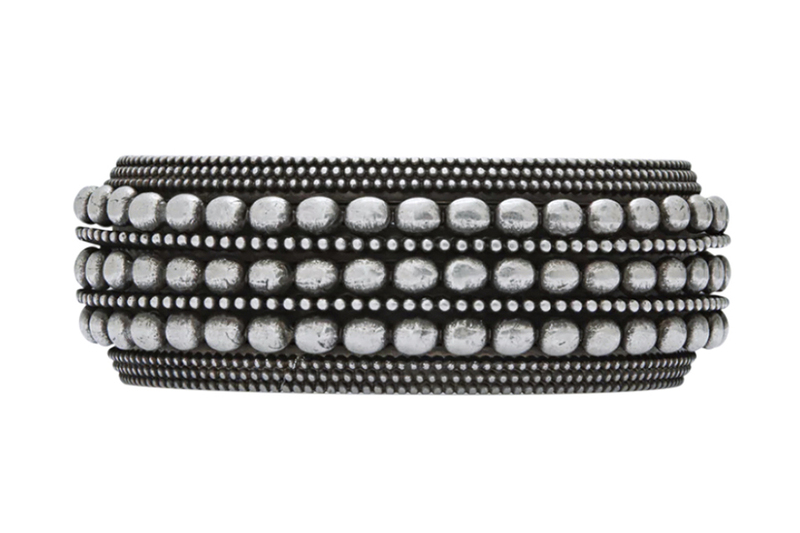 “Marrakech” motif silver-toned brass bracelet, $595, Saint Laurent. Paul Andrew “Kalida” grosgrain sandals, $795, Barneys New York. 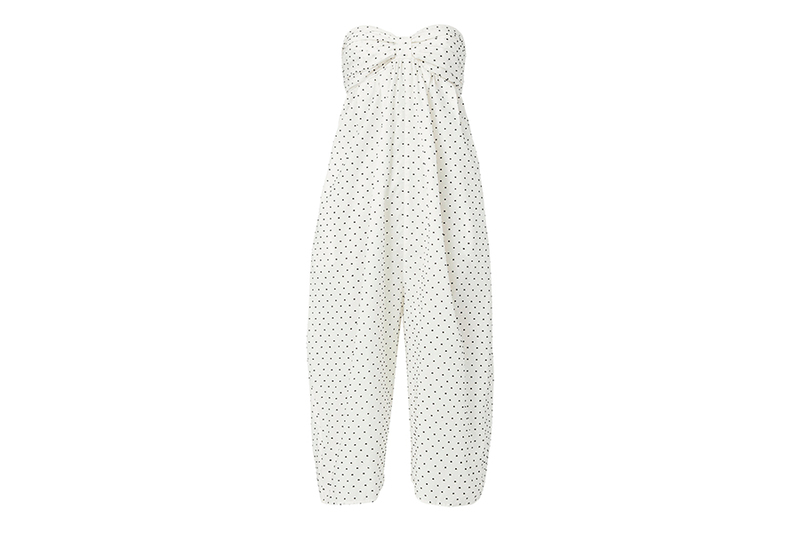 “Marysia” cotton jumpsuit, $475, Intermix.